More than 40 years after the original Star Wars hit theaters, the force is still strong with the enormously successful sci-fi franchise. Since its inception, it’s become a true cultural phenomenon. Don’t let anyone tell you the Disney touch has ruined Star Wars. When starting your app trip through a galaxy far, far away, make sure to begin with the official Star Wars app. The comprehensive app has almost everything you can think of. After starting the app, you can select from one of three different interfaces: light side, dark side, or droid. Each option offers its own unique designs, sounds, and animations. Anyone who enjoys augmented reality can unlock 3D characters, ships, and special quizzes with the AR features. Google Cardboard users can also battle in Jakku Spy, a serialized feature that ties into Star Wars: The Force Awakens. Selfie fans can snap a photo in fun costumes and settings like Han Solo’s carbon freeze, learning with Yoda, and more. And that’s far from all. You can also wield a lightsaber and improve your skills with a training remote, relive classic quotes and sound effects on the soundboard, and much more. There’s a whole galaxy of Star Wars games, and one of the best is Star Wars: Force Arena. Combining a card trading game along with the hugely popular MOBA genre, fans can battle with others in real time. The app offers single-player as well as two-against-two matches. The game offers a huge number of characters from the saga including old favorites like Darth Vader and newcomers like Kylo Ren and Rey. When it comes to battle time, earning a victory requires a good amount of strategy and plain strength as you’ll attempt to destroy the opponent’s shield generator. Adding character cards to your collection will help upgrade your units for battle. For some personalization, make sure to download a Star Wars wallpaper app. As is evident, the iOS app is all about offering a huge number of different Star Wars wallpapers for your device. A new wallpaper is added to the app daily, so any fan should definitely find something they like. Android users can download the similar GeekArt for their Star Wars customization fix. 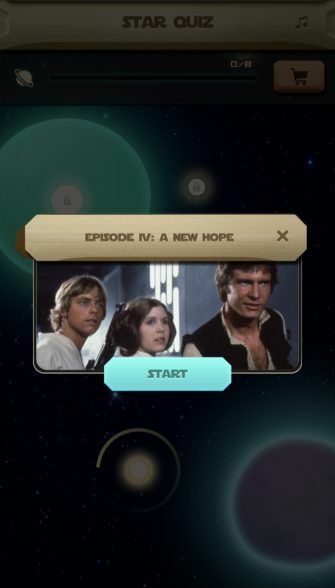 A fun experience for both adults and kids, Star Wars: Heroes Path is a great puzzle game featuring an interactive reimagining of the original movie A New Hope. In the game, you’ll be playing as the rebels to guide them through different types of puzzles. Offering six different environments, including the Death Star and Tatooine, there are a number of levels to conquer. You can discover multiple solutions for each puzzle, and may even earn an achievement for an innovative answer. After breezing through each chapter, you can unlock new heroes that bring special abilities. A great Star Wars app for families. How well do you really know Luke Skywalker’s universe? 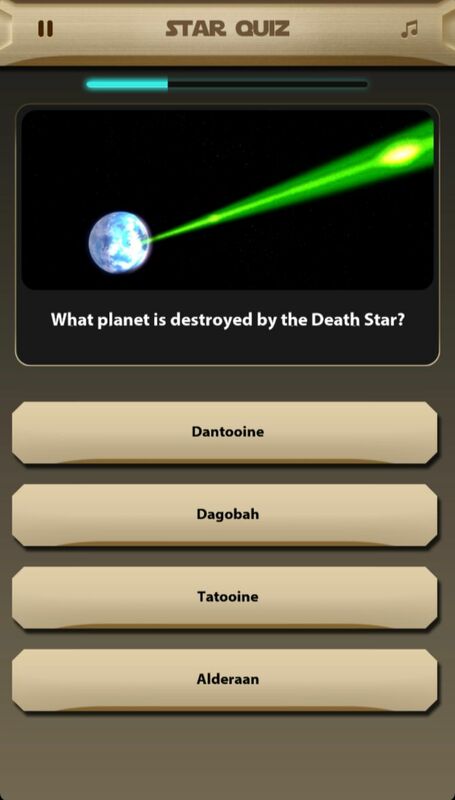 This Star Wars app will tell you. The game covers the first seven episodes of the saga, but doesn’t include The Last Jedi. The questions are themed and grouped by each film, and offer a range of challenge. 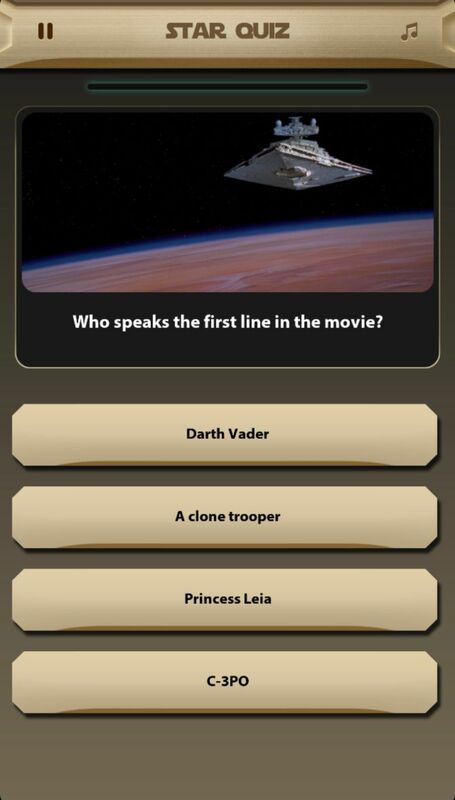 To start, you’ll see questions from A New Hope, and will have to show off your trivia skills to keep progressing. There’s even a bonus level of trivia to find after passing the others. For kids, or kids at heart, Star Wars toys have always been a great way to create your own massive battle scene. And with Star Wars Studio FX App, you can bring that idea a bit closer to reality. To start, create a scene with any Star Wars action figure, vehicles, or playsets. Then launch the app. Select a special effect and then hit record to capture the clip. For example, with one FX, you’ll see a Stormtrooper invade the screen and start blasting. 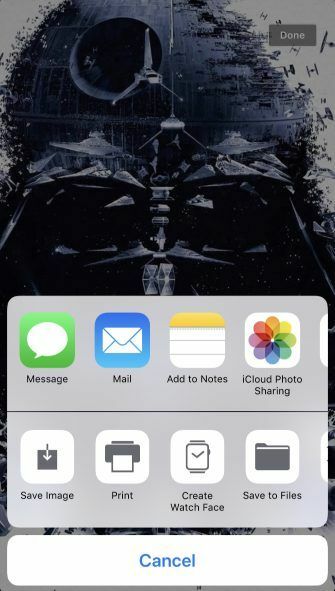 All clips can be saved to your device. While the app is compatible with any toys, you can add other in-game items be scanning codes from specially marked Hasbro Star Wars toys. They also unclock over time by earning rewards through play. Even the timeless hobby of collectible card trading has gone digital. Developed Topps, a well-known name in the physical card trading world, Star Wars: Card Trader features thousands of different cards. Along with all the movies, the app also features card from TV series Star Wars: Rebels, Star Wars: The Clone Wars, and more. 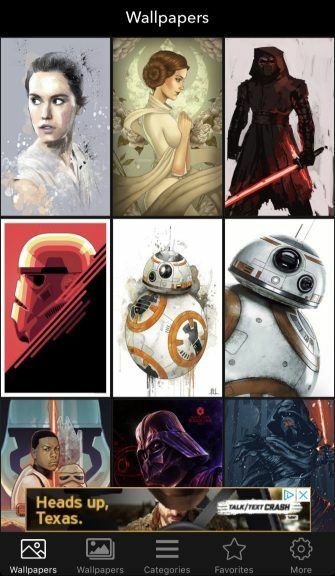 You can collect popular characters, droids, vehicles, and locations as the cards feature a number of different unique art styles. New cards land every day. When you’re ready to trade, it’s easy to reach out to other fans and propose trades with up to 18 cards. Just like the franchise itself, the world of Star Wars apps has something for everyone and continues to grow as a new generation falls in love with the space drama. Anyone who watched the film in 1977 would probably have found it hard to imagine then that fans today could listen to a Star Wars-themed podcast while 3D printing their own prop from the film series. 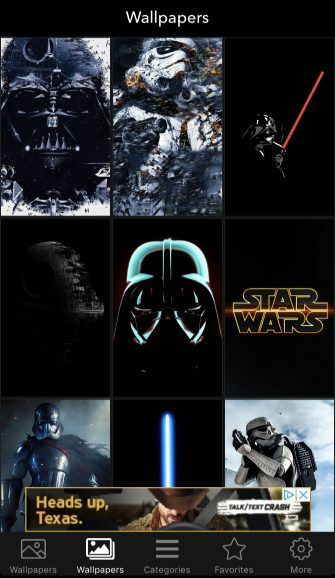 And when you finish exploring these great apps, make sure to take a look at these great Star Wars films created by fans.